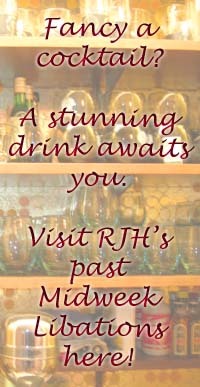 42 posts categorized "Midweek Libations"
For much of 2007, RJH featured a weekly post on Dashusland that was a huge hit. I received so many comments and thanks on what RJH created each week. Midweek Libations was a wonderful addition to this blog and I wanted to bring back one of my favorite Midweek Libation posts that we featured on these pages. RJH's simple and sweet Margarita was too amazing to not mention again. I came to this conclusion again when he fixed me one of these over this past weekend. Check out the libation recipe below and I implore you - TRY IT THIS WEEKEND OR TONIGHT! It's so super duper yummilicious. Trust me!! xoxo. The archetypal summer vacation drink is, of course, the Margarita. The word Margarita in Latin means "pearl" and in Spanish means "Daisy flower". This cocktail, when made well, is a wonderfully refreshing blend of tequila, orange liquor, and freshly squeezed citrus juice - perfect for a summer's day by the pool. Although the Margarita can be found on almost every bar's cocktail list, the requested beverage can vary greatly in quality and style from establishment to establishment. The Margarita has suffered greatly in today's "drive thru" style bar culture. In an effort to make it quick, trendy, and cheap it has been adulterated far worse then any cocktail before it. Indeed, some bars even have it available through their "post mix" gun along with the sodas and other mixers. Whether it is the use of incorrect or substandard ingredients, or commercial Margarita "mixes", a Margarita in most bars is a long way from the delicious cocktail it should be. This article aims to right this wrong and communicate the clear message that a good Margarita is not a difficult feat. 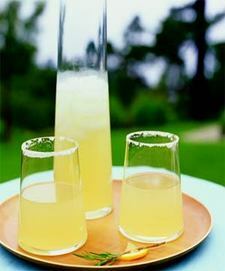 In fact, a true Margarita is made from just three ingredients - tequila, Cointreau and freshly squeezed lime juice. Like many cocktails, there is an art to determining the proper ratio of ingredients to present a balance of flavors. It is very easy to make an overly sweet or tart drink. While some drinks recipes extol using equal parts of the ingredients, through years of trial and error, I can confirm that the very best ratio for a delicious Margarita is 3:2:1 - three measures of good tequila, two measures of Cointreau or Triple Sec, and one measure of fresh lime juice (no Roses lime cordial thank you very much). Nothing else. Tequila - as with many spirits, there are different types and levels of quality of tequila. "Blanco" tequila (also called "Silver" or "White") is bottled straight from the still and is the basic type of tequila. "Joven" or "Gold"tequila may have an amber or gold hue but is really just a Blanco tequila that has had coloring or a small amount of aged tequila added to it to make it look gold (like Cuervo Gold). "Reposado" and "Añejo"tequilas are generally the higher quality spirits and have been aged. A good silver/blanco or reposado tequila that is made from 100% agavewill yield the best tasting margarita (look at the label to make sure it is pure agave). The smooth aged Añejo tequilas are wonderful to sip but are a little too rich to make a great Margarita. The history of the Margarita is unclear. There are many reports of when and where it was invented. It seems it was created some time in the 1930's or '40s but there is no decisive evidence to ascertain to exact time or location. It may have been created in the early 1930's at the Caliente Race Track in Tijuana. Fill a cocktail shaker with ice. Add 3 measures of good quality Reposado tequila (I like 1800 brand), 2 measures of Cointreau (or a good quality Triple Sec), and 1 measure of freshly squeezed lime juice. Roll the lime on a hard surface a couple of times before cutting and squeezing to help it release its juice. Shake vigorously and then strain into a chilled martini glass (novelty margarita glasses featuring cacti are not encouraged!). 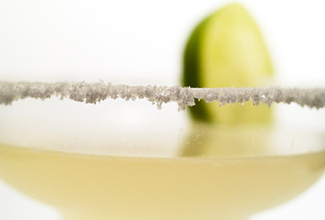 Some people like to salt their margarita glasses, to do this simply run a piece of lime around the rim of the glass then invert the glass and dip it into a saucer of course grain sea salt or kosher salt. Garnish with a wedge of fresh lime and enjoy. Many fans of Midweek Libations will know that I have a penchant for classic cocktails and a particular proclivity for Gin. True cocktail aficionados with similar desires will be hard pressed to find a better establishment to quench their fastidious thirsts than the Pegu Club in downtown New York City. A veritable Mecca of quality, hand-crafted cocktails and intoxicating ingenuity. The proprietor of Pegu is Audrey Saunders, former bartender at Bemelmans Bar and expert mixologist. This week, from her anthology of inspiring cocktails comes the French Pearl. In the bottom of a clean cocktail shaker muddle 4 fresh mint leaves with ¾ of an ounce of freshly squeezed lime juice. Fill with plenty of freshly cracked ice and then add 2 ounces of Plymouth Gin, a good dash of Simple Syrup, and ¼ of an ounce of Pernod. Shake vigorously and strain into a chilled Martini glass. Garnish with a spiral of lime peel and a sprig of mint. Enjoy. Amaretto Sour, Amaretto Martini, Amaretto on the rocks…we've all seen that cheesy ad on TV for Amaretto where a group of glamorous Europeans are in a bar, coincidently all ordering Amaretto-based drinks. Stranger still is that the bar seems only equipped with the same liquor. Amaretto (literally meaning "a little bitter" in Italian) has a long and romantic history dating back to 16th Century Italy. Although the drink is now one of the most famous and popular sweet liqueurs, importation to the United States did not occur until the 1960's. 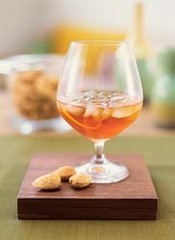 The almond and apricot flavored cordial quickly became a hit in cocktails and in food. By the 1980's, it was second in sales only to Kahlúa. The Italian brand Disaronno Amaretto is the most famous but France makes a similar liqueur called crème d'amandes. In the 1500’s, a Saronno church commissioned artist Leonardo Da Vinci and student Bernardino Luini to paint their sanctuary with frescoes. As the church was dedicated to the Virgin Mary, Luini needed to depict the Madonna, but was in need of a model to pose for him. 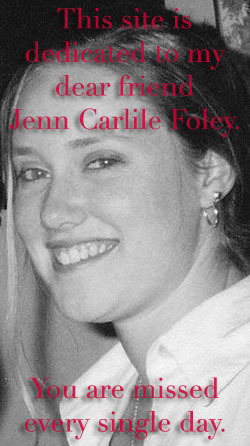 He found his inspiration in a young widowed innkeeper, who also became his lover. Out of gratitude and affection, the woman wished to give him a gift so she steeped apricot kernels in brandy and presented the resulting concoction to him. This complex deep brown liqueur is now made from almond extract along with apricot stones and seeds, steeped in brandy and sweetened with sugar syrup. It is sweet, with intense almond flavors and is best used in small amounts. Amaretto Sour – Put several cubes of fresh ice into a Boston shaker. Pour in 3 measures of Amaretto, 1 measure of freshly squeezed lemon juice and a dash or two of simple syrup. Shake vigorously and pour into a rocks glass. You may need to adjust the amount of lemon juice or syrup depending on the sweetness of the lemon. Sour mix is forbidden in all Midweek Libations recipes! Garnish with a maraschino cherry and a swizzle stick. Traditionalists may add egg white for an authentic ‘sour’. 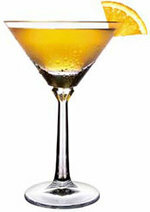 Amaretto Martini – Fill a Boston shaker with ice and pour in 3 measures of good quality vodka and 1 measure of Amaretto. Stir slowly until well mixed and ice cold. 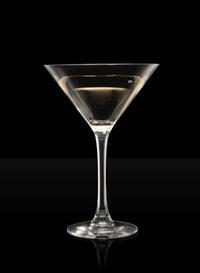 Strain into a chilled Martini glass and drop one roasted almond into the glass. (Note: make sure the almond is not salted). Amaretto on the Rocks – No instruction necessary here! The Godfather – Fill a rocks glass with plenty of ice. Pour in 1 measure of Amaretto and 2 measures of your favorite Scotch. Stir and garnish with your best Brando impression. French Connection – Fill a Boston shaker with plenty of ice. Pour in 2 measures of Amaretto and 2 measures of Cognac. Stir vigorously and strain into a chilled martini glass. Garnish with a small Amaretti biscuit (available from fine food marts and Italian markets) on the side. Thank you RJH! If you have missed any of the past Midweek Libations, you can catch them all HERE . 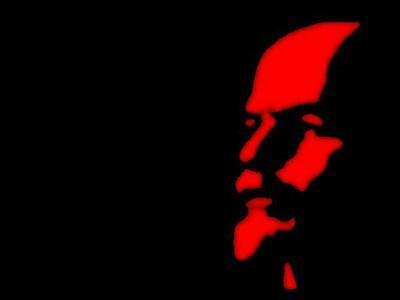 Dieters and capitalists turn back now! Midweek Libations throws caution to the wind and presents an indulgent classic sure to make your trainer cringe; the White Russian. Although this creamy concoction was famously quaffed by The Dude in The Big Lebowski, the Oxford English Dictionary refers to the first mention of the word “White Russian” in the context of a cocktail as far back as November 1965, in the Oakland Tribune. It was placed in the newspaper as an insert: "White Russian. 1 oz. each Coffee Southern, vodka, cream." Today the White Russian remains a popular after-dinner cocktail, especially with the ladies. 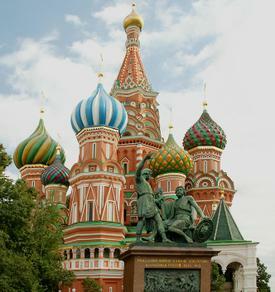 It has no actual Russian heritage but takes its name from one of the main ingredients, Russian vodka. The combination of vodka, heavy cream and coffee liquor results in a heavenly smooth, dangerously drinkable treat. No need to break the bank with this drink, save the premium vodka for your martinis or other cocktails where quality counts. I’m not saying you should go buy that 2 liter jug of Kalashnikov vodka, but an everyday vodka like Smirnoff or Svedka will do just fine. Combine 1½ measures of vodka with equal amounts of fresh heavy cream (half and half may be used but skim milk just doesn’t work) and coffee liquor. I favor Kahlua or Tia Maria. Kahlua is a rich, dark brown coffee liquor made from Mexican coffee, with cane spirits and a hint of vanilla. Tia Maria is equally good. Put all ingredients into a cocktail shaker with plenty of ice. Shake vigorously and strain into a chilled martini glass. Garnish with a dusting of cocoa. Some people like their White Russians on the rocks. If you are one of those people, please try the above method first. If you still prefer the rocks, the drink can be mixed in the glass by pouring all three ingredients over ice in a rocks glass. A brisk stir will pull them all together. Variations: the White Russian can be made with differing ratios of vodka, coffee liquor and cream. Try 2 measures each of vodka and Kahlua and just one shot of cream. Black Russian – A White Russian without the cream. Fill a rocks glass with fresh cracked ice, pour 2 measures of vodka and one measure of coffee liquor over the ice and stir well. A Tall Black Russian is made in a highball glass by adding cola to the above recipe. There exists a much neglected gem in the world of wine and spirits. A delicious, versatile, affordable and intriguing drink. Commonly regarded as a drink for doddering old seniors with blue rinsed hair, Sherry is an ageless classic. Many may scoff at the thought of reaching for a small glass of the stuff, thinking only of the generic finos of the world like Tio Pepe or the ghastly sweet Harvey's Bristol Cream. But those that mock will soon be smitten when they taste the enamoring depth of flavor of a good Oloroso or Amontillado. Sherry is a fortified wine, made in and around the town of Jerez, Spain, usually from the Palomino variety of grape. The name “Sherry” is protected by law and may only be applied to the wine of Jerez. Sherry differs from regular table wine in that it is fortified after fermentation has ended, and then undergoes a complex transformation through a series of maturation barrels. 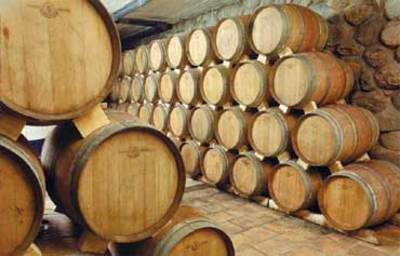 This process, known as the Solera system, results in the wine taking on many of the characteristics of the old barrels. 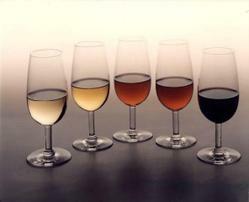 There are several different styles of Sherry to choose from. Your taste, the food with which you will be consuming the Sherry, the time of day, your mood, or any other factor may determine which style of Sherry you select. Generally your choice of Sherry should be served chilled in a small wine glass. Fino ('fine' in Spanish) is a dry and delicate variety of Sherry. It has a pale color and is usually consumed as an aperitif. Manzanilla is a light variety of fino Sherry matured in the small costal town of Sanlúcar de Barrameda. Amontillado is a variety of dry Sherry that has been aged first under a cap of flor yeast, and then is exposed to oxygen, which produces a slightly richer, darker, nuttier character. Oloroso ('scented' in Spanish) is a classic variety of Sherry aged for a longer period, producing a darker, heavier, nuttier and richer wine. 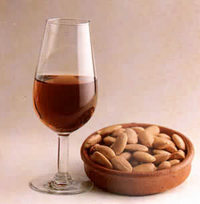 Sweet Sherry (best avoided if you ask me) is created when one of the above varieties of dry Sherry is colored and sweetened with Pedro Ximénez or Moscatel wine. Cream sherry is a common variety of sweet sherry. Sherries are so versatile. They are delicious on their own, as an aperitif, yet are equally good as an accompaniment to many kinds of foods. Ask your wine retailer for advice. Many sherries can be purchased in half-size bottles, conducive to exploring the different styles. 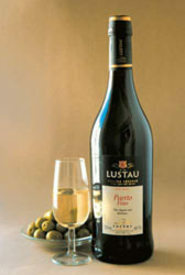 There are several brand names available but Lustau is a particularly excellent producer. Don’t be afraid. Be brave and take an adventure. The reward is great! Midweek Libations would like to wish all its followers a very Happy New Year. The first cocktail of the year is an interesting winter warmer, borrowed from the cocktail bar of Claridge’s Hotel in London. Claridge’s, a high-class Art Deco era hotel in Mayfair, London, continues to be an excellent venue for discovering new cocktails and reinventions of old classics. Next time you are wandering the streets of London, battling the dreary grey cold, step into Claridge’s for a sip of luxury. The “Sunday Roast” (suitable for vegetarians) is a warming blend of spiced rum and fruit juices with a savory plume of rosemary. In way, this cocktail is s a little like a wintery Caipirinha, with spiced rum instead of Cachaça, and the addition of extra fruit juice. It is very easy to make this deliciously enticing cocktail. Fill a clean cocktail shaker with plenty of fresh ice. Add 3 measures of good quality spiced rum (The spiced varieties of Bacardi or Captain Morgan will do) and one measure each of freshly squeezed lemon juice, fresh apple juice (not from concentrate) and pineapple juice. Add a good tablespoon of simple syrup (or more if your juice is a little tart). Shake well and strain into a chilled rocks glass. 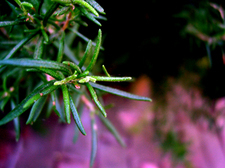 Garnish with a sprig of fresh rosemary. This cocktail may easily be scaled up for larger parties or gatherings. Today is Boxing Day in England, a public holiday dating back to the Middle Ages. The tradition of giving a ‘Christmas box’ or tip to one’s servants, the poor, or a few peasants has now somewhat subsided and is instead replaced with general laziness, TV soap opera specials, and recuperation from the excesses of Christmas day. 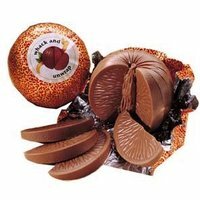 The contemporary observance of Boxing Day generally involves relaxing at home consuming leftover turkey, that luxury mixed nuts selection that a guest always brings and the quintessentially British confection, the Terry’s Chocolate Orange. 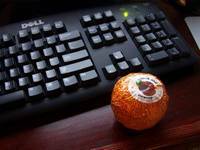 The Chocolate Orange – a spherical ball of chocolate made with orange oil, divided into segments, and wrapped in orange-colored foil – is a pillar of British seasonal culture. The segments, when packaged, are stuck together firmly, and the traditional method of preparing them for consumption is, prior to unwrapping the ball, tapping it lightly on a hard surface causing the segments to separate from each other. 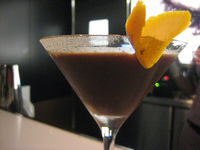 Today Midweek Libations attempts to emulate the rich sweet flavors of the Chocolate Orange in a luxurious dark cocktail, the Chocolate Orange Martini. A perfect concoction to impress your ex-pat chums. Fill a cocktail shaker with plenty of ice. Add a measure each of quality vodka (e.g. Absolut) , vanilla flavored vodka (Absolut and Stoli both make good versions), and chocolate liquor. Godiva makes a great chocolate liquor and you can choose either dark or milk chocolate flavor (I would avoid the white chocolate variety for this recipe). Add one half measure of Cointreau (or other quality orange liquor) and shake well. A dash of heavy cream may be added if you wish but I prefer this drink neat. Rim a chilled martini glass with a piece of orange rind and then dip the rim into a mixture of grated orange zest and chocolate shavings. Strain the shaker into the glass and enjoy. The rim is a sufficient garnish. Those wishing to go all out can add a twist of orange peel, or even a spiral straw of shaved chocolate. Special thanks to Caroline On Crack for use of her Chocolat d'Orange Cocktail shot (3rd shot down) - check out more of her yummy photos HERE. Around the holiday season many people like to entertain guests and celebrate the season. Inevitably there is plenty of booze left over after a party (although oddly this is not often a problem for me!) and, rather than put it to waste, one should turn to Midweek Libations and put it to good use. 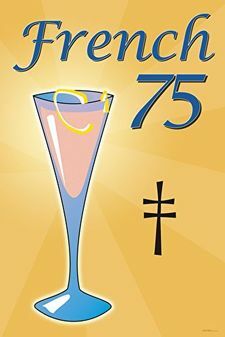 In anticipation of a few extra bottles of champagne lying around, this week we explore the French 75. 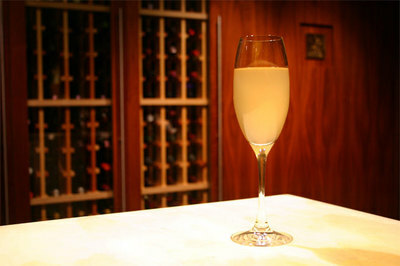 This classic cocktail, popular at Harry’s New York Bar in Paris in the early 1900’s, is allegedly named after a French-made 75mm howitzer field cannon used during World War I, also called a “French 75”, or "Soixante Quinze". The drink was originally served over ice, but is now more frequently served ‘up’ in a champagne flute. In keeping with its French roots, many recipes replace the gin with Cognac. The gin version is often served under the name Diamond Fizz. The French 75 was originally concocted by the Franco-American World War I flying ace Raoul Lufbery who was part of Escadrille Américaine air fighting unit. He was a great fan of champagne but wanted a drink with more of a kick to it. Consequently, he mixed it with cognac which was readily available at the time and so created a brand new cocktail. The combination was said to have such a kick that it felt like the recoil of the powerful French artillery piece. Another source suggests that the casings of 75mm shells made good drinking cups! Whatever the source, it later became the drink of returning fighter pilots who would order the cocktail to celebrate a safe return from battle and toast their fallen comrades. To relive this rich history, fill a clean cocktail shaker with plenty of ice. Add a 1½ ounces of good quality gin, ½ an ounce of freshly squeezed lemon juice, and 1 teaspoon of fine white sugar. Shake vigorously and strain into an ice filled Collins glass or a chilled champagne flute. Slowly top up with chilled brut champagne. Garnish with a spiral of orange peel. Cheers! There’s no denying that winter is well and truly here. We saw the first blanket of snow on Sunday and a brief flurry today. In these icy conditions it is easy to reach for a traditional winter cocktail or liquor. Today Midweek Libations breaks from the expected to present the Dark ‘n’ Stormy, a cocktail that is both a classic summer drink and one that I feel is a great winter warmer. A Dark and Stormy (or Dark 'n' Stormy) is a ‘long’ rum-based drink popular in many British Commonwealth countries, and is considered the national drink of Bermuda. The ‘Dark’ naturally refers to the hue of the rum used and the ‘Stormy’ describes the bubbly tempest of the ginger beer. Made famous by Gosling’s Rum in Bermuda, a Dark 'n' Stormy is basically dark rum spiced up with ginger beer. 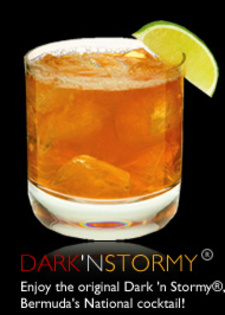 Dark 'n' Stormy is actually a registered trademark of Gosling's Brothers Limited in Bermuda and they dictate that the name can only be applied when their rum is used. It is essential to use a good quality ginger beer in this recipe. Ginger beer, the forerunner of ginger ale, is a highly effervescent, intensely flavored soda made from fresh ginger. The beauty of this brooding drink lies in the snap of the real ginger beer. Barritts, a Bermudian brand, has the essential bite without a burn, and is almost always used as the base for the Dark 'n' Stormy at bars and restaurants in Bermuda. Fill a tall highball glass with fresh cracked ice. Squeeze the juice of quarter of a lime over the ice in the glass and drop the wedge into the glass. Pour 2 measures of Gosling’s Black Seal Rum into the glass. (if you are not able to get hold of Gosling’s, use any good quality dark rum like Myers or a golden rum like Appleton Estate) Top up the glass with a good quality ginger beer of your choice. Stir lightly and garnish with a lime wedge and pieces of candied ginger. One fan of the drink once stated that they like how the name of the cocktail implies impending doom, and the short time they have with their drink is a ‘before-the-storm’ appreciation of life. Enjoy. When there is a chill in the air and you find yourself pulling your winter coat out of storage, a nice warming drink is required to reward yourself for a hard day of work and an icy commute home. While a St. Bernard may tote a barrel of Brandy around his neck, I am more partial to the rich complexities of Scotch Whisky. Lowland Malts are renowned as the lightest, sweetest, most delicately flavored, with fruity, floral, honeyed notes. 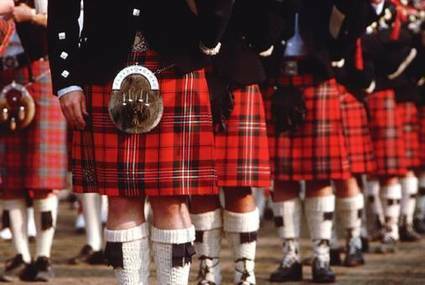 Highland Malts come from the largest distilling region and, as such, can vary greatly. They may range from drier, peaty styles, through to spicier, heathery, honeyed styles. Speyside Malts produce some of the most sophisticated examples. Ripe fruit and floral notes are delivered with complexity and elegance. Campbeltown Malts are typically highly peated with marine, sea air characteristics. Islay Malts are some of the smokiest, with a characteristic range of medicinal, iodine, marine, and sea air notes, and can exhibit a range of peat levels. It may seem like sacrilege to create a cocktail from such a unique and elegant spirit. However, a skilled bartender will be able to carefully concoct a libation that will showcase the qualities of the Scotch. When mixed correctly with good ingredients, the cocktail will allow multiple layers of flavor and taste sensations without sacrificing the unique nature of the single malt. 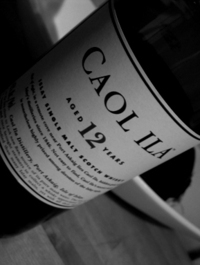 This week’s Midweek Libation uses the Islay (pronounced eye-luh) malt Caol Ila (pronounced cull eela) as the base. Caol Ila (Gaelic for “Sound of Islay”) was founded in 1846 by Hector Henderson. The distillery, located on the island of Islay off the west coast of Scotland, gathers its water from Loch Nam Bam "over which ever the anon and fragrant breeze from the myrtle and blooming heather is wafted" (Alfred Bernard 1877). The Nam Bam Buck, named after the loch from which the distillery gets its water, is an extension of the classic Scotch and Ginger, and bears some resemblance to the Gin Buck. It incorporates fresh fruits and juices to create an enticing and fascinating long drink. Fill a cocktail shaker with ice and add 3 measures of Caol Ila. 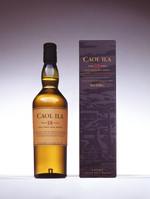 If you can not get hold of Caol Ila, any Islay will do. Add one measur e of freshly squeezed orange juice and a measure of strawberry coulis or fruit puree. (amount of fruit used may be adjusted to taste and is often affected by its sweetness or ripeness) Shake vigorously. Fill a tall Collins glass with fresh cracked ice. Strain the mixture into the glass and top up with a good quality ginger ale. Garnish with a fresh strawberry and a black straw. Ginger beer may be used as an alternative to ginger ale. Enjoy! Thank you RJH! If you have missed any of the past Midweek Libations, you can catch them all HERE . xoxoxox. At this time of year there is a proliferation of seasonally inspired food and drink. Pumpkin this and spiced that. Putting my personal detest of Pumpkins aside, sometimes it’s easy for one’s palate to become saturated by the heavy, spice-driven drinks. A warm hot toddy certainly has its place, but this week’s offering is for those in search of something fresh yet classic; The Hurricane. If you are in the mood for something tropical but are tired of Mai Tai's and Singapore Slings, give this cocktail a try. Meteorological puns aside, the Hurricane is a refreshingly fruity yet strong cocktail that has faded from popularity over the past decade or so. 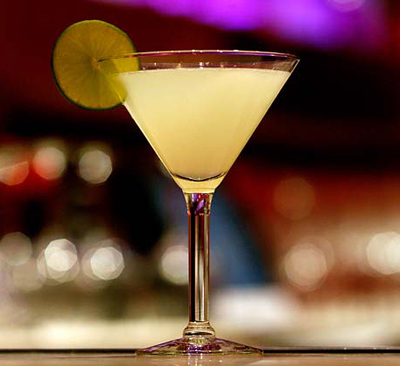 The main constituents of the drink are rum, passion fruit syrup and fresh lime juice. Unfortunately the drink has gained a poor reputation as an overly sweet alcoholic punch. This is exacerbated by the prevalence of instant Hurricane ‘mixes’ available – just add liquor and juice – and mass market bartending in tourist bars. The creation of this relative of the Daiquiri is credited to Pat O'Brien, a bar owner in New Orleans. He is reported to have invented the cocktail in 1939, or the early 1940s, during World War II when Scotch Whisky was difficult to obtain. The proximity of New Orleans to the Caribbean, however, made rum much more easy to procure. Rumor has it that liquor wholesalers required their customers to purchase many cases of rum before allowing them to buy the precious Scotch. The Hurricane cocktail was an inventive solution to get through their vast surplus of rum. The concoction was poured into glasses shaped like hurricane lamps and sold to sailors. The drink caught on, and it has been part of the Louisiana culture ever since. Fill a Boston shaker with plenty of ice and add 2 measures each of light and dark rum, 1 measure of freshly squeezed lime juice and a good measure and a half of passion fruit syrup. Do not use lime flavored cordial or Rose’s lime juice. Shake the contents vigorously and pour into a tall Hurricane or highball glass. Fresh passion fruit juice may be used instead with the addition of a splash of simple syrup. I prefer not to add other juices or grenadine as there is a danger of creating a sickly sweet generic fruit punch. If the resulting drink is well balanced, though, I would not rule out the careful addition of grenadine and freshly squeezed orange juice. Garnish with a long twist of orange peel and a maraschino cherry. Enjoy! Halloween is a night for celebration and partying. However, just because many party foods are dressed up in vile orange and black colors, does not meen you have to sacrifice the quality of your cocktail. The solution: a Kir Royale. 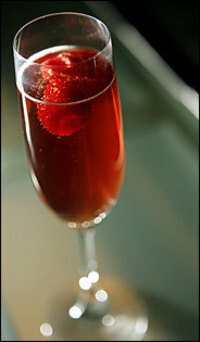 A popular drink for receptions and soirees, as well as the cocktail hour, the Kir Royale blends crème de cassis, a dark and slightly bitter blackcurrant liqueur, with crisp Champagne for a velvety taste sensation. Named after Canon Felix Kir, mayor of Dijon in Burgundy, the original Kir was invented in France and was made with still, dry white table wine from the region. 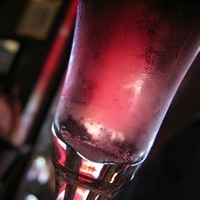 Following the commercial development of crème de cassis in the 1840’s, t he cocktail became a popular regional café drink under the name of blanc-cass, but has since become inextricably linked internationally with the name of Mayor Kir. When ordering a Kir, waiters in France now normally ask whether you want it made with cassis (blackcurrant), mûre (blackberry) or pèche (peach). To get the “Royale” treatment, however, brut (dry) Champagne is essential. Super Easy Directions - Pour one shot of Crème de Cassis into a chilled champagne flute then slowly top up with chilled dry champagne. Garnish with a small twist of lemon peel or impale a raspberry on the edge of the glass and serve immediately. The bartender took last week off but he has come back this week with a boot scootin' cocktail capable of whetting any cowboy's whistle. Take it away, RJH. When you begin to lose inspiration in your cocktail making and you find yourself tapping your fingers on your home bar racking your brain for a new and unusual cocktail, you can count on Midweek Libations to satisfy your needs. Today we venture out west for a boot scootin’ beverage that is sure to please. 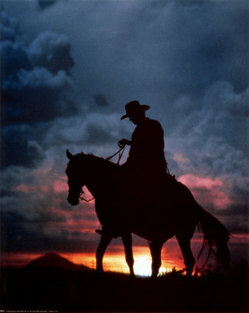 Cowboy traditions are not generally associated with good cocktail mixology but they can still be a source of inspiration. 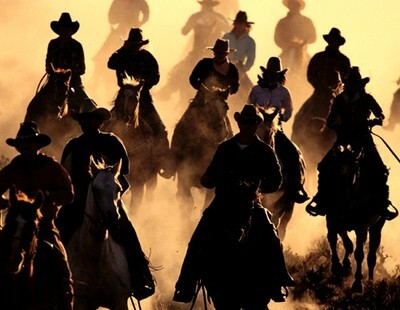 In the larger towns and cities of the Southwest there are plenty of cowboy hats and even more boots in evidence, but that doesn’t necessarily make the wearers cowboys! But that’s just fine because these drugstore cowboys are more likely to sniff out a quality watering hole that no real cowboy would be seen dead frequenting. The Horse’s Neck is an unusual and refreshing cocktail and has similarities to the well known “7 and 7” (which is merely a weak imitation of this drink). Dating back to the 1890s, this prohibition-era drink was originally a non-alcoholic beverage (shock) combining ginger ale, ice and lemon peel. That is until some clever cowpoke had the inspiration to add liquor to it. By the 1910s, brandy or bourbon would be added for a "Horse's Neck with a Kick". Eventually, the non-alcoholic version was phased out. The name of the cocktail is probably derived from the shape of the long piece of citrus peel that is used as garnish. With a channel knife or vegetable peeler remove a spiral of peel from a fresh lemon. Start at the base and peel around the fruit until you get a long coiled piece of peel. Place the lemon peel spiral in a highball glass so that one end hooks over the rim of the glass and hangs down the outside. Half fill the glass with fresh cracked ice. Pour 2 generous measures of blended whisky, bourbon or rye over the ice and add a few dashes of Angostura Bitters. Top up with ginger beer or a good quality ginger ale. Some people also like to add just a dash of fresh lemon juice to the mix. Add a straw and you’re ready to go. YeeHaw! Although summer seems to be coming to an end, we still have a few warm evenings yet to enjoy. Even if there is a cool breeze, many an evening may still be spent outside, watching the sun go down like a fiery red ball over the horizon. Step outside and relax while it lasts for winter will be here soon. Of course you will need a drink to take with you to your lawn chair, and this week I recommend a good chilled glass of crisp Rosé wine. 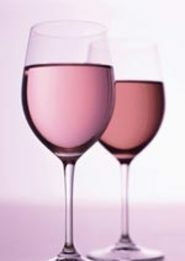 Rosé, pronounced “rose-ay”, is a style of wine that has some of the color seen in red wines, but only just enough to turn it a soft pinkish hue. It still retains most of the qualities of white wine and is usually chilled prior to consumption. Depending on the grapes being used and the amount of time the skins of the grapes remain in contact with the juice, a Rosé’s color can vary greatly from a pale coppery orange to a vibrant purple. The longer the period of juice-skin contact, the darker and more tannic the resulting wine. Some Rosés are darker or more full-bodied than others, but they generally remain light and refreshing, no matter the depth of color. Historically Rosé was a delicate, dry wine, exemplified by Anjou Rosé from the Loire region of France. It is reported that the original Claret was a pale wine from Bordeaux that would probably now be described as a Rosé. In the 1970s, California producers coined the term ‘Blush’ to refer to Rosé, fearing that the term “Rosé” had become antiquated. To some extent the tables have now turned and ‘Blush’ is now more synonymous with the pedestrian softer sweeter (and generally cheaper) styles of wine like (gasp!) White Zinfandel. Today, though, quality Rosés are making a comeback and one can find well-structured and elegant Rosé wine from around the world. 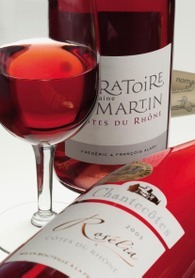 Rosé is produced when red-skinned grapes are crushed and the skins are allowed to remain in contact with the juice for a short period of time. The grapes are then pressed, and the skins are discarded (rather than left in contact throughout fermentation as with red wine making). The juice is then fermented like any other wine. When choosing a Rosé, try to look for the name of the grape on the label and ask for a recommendation from the store manager. Below are a few suggestions of Rosé wines you might like to try. Chile – Some real treasures are coming out of Chile these days. If you can find it, buy every bottle you can of Santa Rita Rosé. Santa Rita has consistently produced great quality inexpensive wines. Their Rosé is impeccable and bursting with mouthfuls of juicy ripe strawberries, pear and melon. 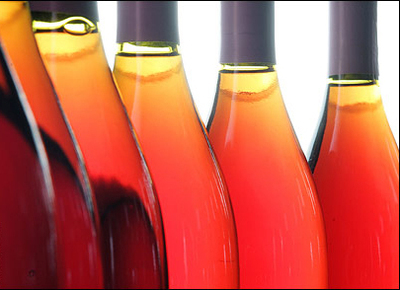 USA – Unfortunately California has a bad name for Rosé wine. Steer clear of the mass-produced confected horrors of Beringer, Gallo, and Fetzer. Instead try Bonny Doon’s Rhone-style Le Cigare Volant Rosé blend or their inexpensive Ca' del Solo brand Big House Pink. France – Go for a wine from the Loire valley like a Sancerre Rosé or Menetou-Salon Rosé for bone dry crisp refreshment, or something from the Rhone valley for a slightly softer deeper style. For purposes of this article I tasted Sautereau Sancerre 2006 (priced around $16). Made from 100% Pinot Noir, this wine has a delicate salmon pink color and a restrained strawberry nose. Very quaffable, this wine displays subtle flavors of pink grapefruit, rosehips and redcurrants with a dry herbaceous finish. Also tested was a darker Luc Pirlet Syrah 2006 (priced around $9). This plummy bargain is a real treat; soft juicy dark fruits with a clean bright finish and a hint of sweetness. Spain – When you get bored with California and are looking to challenge your palate, try a Spanish Rioja Rosé. More complex than many of the new world wines, the Rioja has a satisfying complexity and often a very satisfying price tag. Marques de Caceres Rosé offers a pleasing and approachable combination of Tempranillo and Garnacha grapes with juicy red berry flavors and a hint of spicy leather. New Zealand – New Zealand, specializing in the Sauvignon Blanc and Pinot Noir grapes, is well know for its crisp dry white wines and alluring reds. Logically there are a few great Rosés to be found too. Villa Maria and Montana dominate the market and are usually safe bets. Pink Champagne – Regular readers will have noted last week’s post recanting the joys of Champagne. As a brief codicil, decadent readers seeking a Rosé Champagne will get the most bang for their buck from Billecart Salmon Rosé or Perrier Jouet Rosé. Billecart Salmon offers a robust and vibrant Rosé Champagne with delicious summer fruit flavors and a wild effervescence. PJ is a more delicate feminine Rosé with floral notes and balanced approachable body. Bubbly, fizz, champers, pop, shampoo, Bolly. Whatever you call it, Champagne is the Queen of all libations. Elegant, sophisticated, mysterious, aloof. Champagne has an iconic image in western society that dates back several hundred years. Although traditionally reserved for special events or celebrations, Champagne is a fabulous drink for any day of the week. So much enjoyment can be had from a good glass or two of fizz that it is a shame to reserve it solely for such rare occasions. Winston Churchill once said “A single glass of Champagne imparts a feeling of exhilaration. The nerves are braced, the imagination is agreeably stirred; the wits become more nimble.” Paradoxically, even though Champagne is generally seen as a popular drink, relatively little is consumed. Given the intrinsic gratification of Champagne, would it not make sense to treat ourselves to a few bottles every now and then for no other reason than it's good? One should not be deterred by its glamorous image, you no longer need to spend a large sum of money to obtain a decent bottle. This week’s post is a slight deviation from the usual midweek cocktail recipe and aims to extol the virtues of Champagne and spread the word that it is versatile beverage to be enjoyed anytime. True Champagne is a sparkling wine from the Champagne region of Northeast France, produced by inducing in-bottle secondary fermentation of wine to effect carbonation. 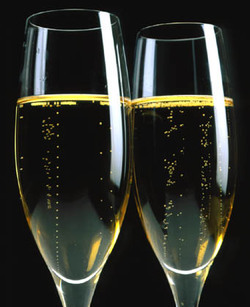 While the term "Champagne" may be used by various makers of sparkling wine in other parts of the world, genuine Champagne can only come from the Champagne appellation. 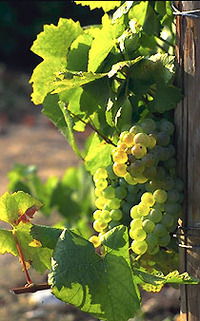 Most Champagnes are made from a blend of Chardonnay and Pinot Noir grapes but the less common Pinot Meunier grape may also be used. Champagnes defined as Blanc de blancs (white of whites) are made from pure Chardonnay and are generally lighter in style than regular Champagne. Serving - Contrary to the common image portrayed by Hollywood and television, it is quite uncouth to allow the cork to make a loud "pop" when opening the bottle. Some people may be daunted by the prospect of opening a Champagne bottle, but I assure you it is quite straightforward. First remove the foil from around the cork assembly. Underneath will be the cork, surrounded by a wire cage to stop it from shooting out (which, unless you shook the bottle, won’t happen). Carefully untwist the wire key and ease the cage off. Place a small towel or napkin over the cork and place the palm of your hand gently on top. Grasp the covered cork with one hand and then slowly rotate the bottle, not the cork, with the other hand. Gently ease the cork out until it gives a sigh or a whisper. When it comes to glassware, Hollywood got it wrong again. The wide flat Champagne cup of the movies should never be used. Such grandiose vessels create a very large surface area from which to lose all those heavenly bubbles. Instead, use a tall narrow Champagne flute to preserve the bubbles and aroma of the wine. When it comes to buying Champagne, the first thing to verify is the origin of the wine. Make sure that it is true Champagne, and not a sparkling wine from another region or country. Most countries do not allow the word Champagne to be used unless it is real Champagne. Below are a few suggestions for brands to try in different price ranges. Entry Level $25-$35 (weeknights, won’t require an extra trip to the ATM) – this category can be tricky as there are plenty of poor quality Champagnes on the market. For the money I particularly like Heidsieck & Co Monopole Blue Top. It’s a very approachable and affordable wine with good body, nice spicy aromas, and rich toasty flavors. Another good bet is Pol Roger White Foil with its yeasty bready aromas and elegant zesty style. I would avoid the much hyped and overpriced Moët & Chandon Brut Imperial with its light simple style and slightly acidic finish. Mid Level $30-$55 (weekends, may require a debit card) – this category is dominated by a few big brand names, all of which are pretty good. 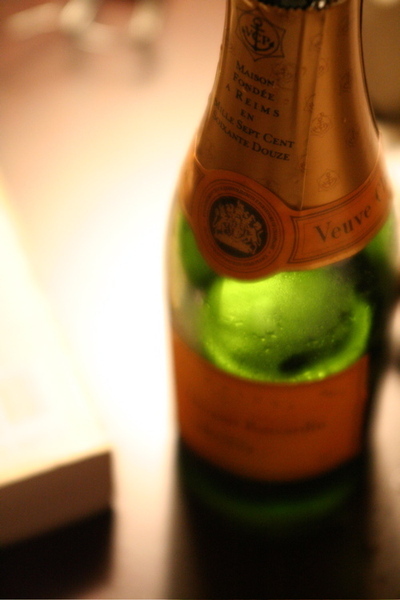 Veuve Clicquot Yellow Label is a very reliable brand. Fruity and energetic with lasting complex flavors and good body, many people swear by their Veuve but, for the price, I prefer Bollinger Special Cuvée. Bollinger is perfection in a glass. One glass of this nectar is enough to transport you out of reality and into an ethereal paradise of elation. Having a bad day at the office? Save a couple of bucks on therapy and get a glass of this down you, it’s incredible value. Rich toasty vanilla flavors and a long satisfying finish. High Level $50-$110 (weekends, after the mother-in-law has gone, may require a credit card, preferably with rewards) - Bollinger Grande Année is a fantastic rich, intense and complex Champagne with satisfying aromas, a fine sparkle and plenty of full, ripe, malty fruit and chocolatey flavors. Perrier-Jouët Belle Epoque is another good choice. Cream and honey flavors are complemented by toasty brioche and lingering nutmeg notes. Uber-High Level $120+ (promotions, holiday weekends, and other significant events, may need a second mortgage) – When price is no object, go for the rich nutty deep flavors of Krug (the non vintage is amazing, no need to go with the even more expensive vintage). Dom Pérignon is also a winner with a slightly lighter elegant style and satisfying almond and honey flavors. One of my personal favorites ever is Heidsieck & Co Brut Vintage Diamant Bleu. Absolute perfection in a glass. Deep rich hazelnut flavors with layers of rich stewed apples and pears, toasty vanilla and a full body. Just incredible. Don’t be fooled by the hype of Cristal, while it is a very high quality Champagne, its lighter style is not nearly worth the price. So enjoy yourself. Grab a bottle and relax. Remember, every day is a special occasion. Today we raise a glass to CACKLES who just got offered a new job! YOU SO DESERVE IT! Much love and congrats!!! When you get a little bored of the classics and feel the urge for a refreshing and unusual cocktail, there are few better bets than the Caipirinha to satisfy your needs. The Caipirinha (pronounced kay-pih-rin-ya) is Brazil's national cocktail and is a rustic yet potent combination of Cachaça, sugar and fresh lime. Cachaça is Brazil's everyday spirit of choice. Like rum, it is made from sugar cane. However, Cachaça is made from cane juice whereas rum is distilled from molasses, a byproduct of the sugar refining process. The International Bartender Association has labeled the Caipirinha one of the 50 greatest drinks of all time. It gained its popularity in the 1950s and 60s on the beaches of Rio and Sao Paulo during the days of Jobim and Bossa Nova. To the non-Brazilian, the Caipirinha has similarities to its muddled cousin the Mojito and the lime-based Margarita. Outside of Brazil, particularly in the United States, the availability of Cachaça can be limited, so relatively few bars have served the drink. Now that higher quality brands of Cachaça are available outside of Brazil, the popularity and prevalence of the Caipirinha in the US have increased. The word "Caipirinha" is a version of the word "caipira", which refers to someone from the countryside, being an equivalent of the American English “hillbilly” or even “redneck” ! There is an old saying in Brazil: “quanto pior a cachaça, melhor a caipirinha” or “the worse the Cachaça, the better the Caipirinha” (within reason of course). 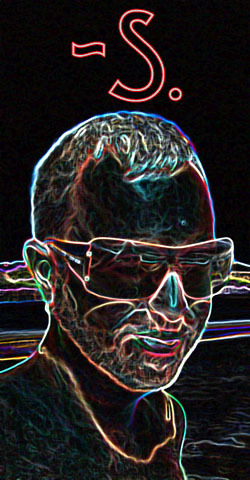 Consequently, it’s generally better to use clear colored (white), non-aged Cachaça rather than a heavier aged Cachaça. 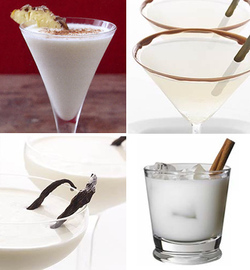 Pitú, 51 or Ypioca are all brands that are ideal for making a great Caipirinha. 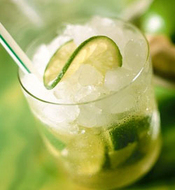 A Caipirinha must also be made with fresh lime to achieve an 'authentic' taste. 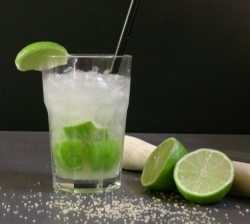 In Brazil, the very best Caipirinhas are made with limões gallegos, what in the US are called key limes. To make the perfect Caipirinha, wash one whole key lime and roll it on a flat surface to loosen the juices. Cut the lime into eight pieces and place them in the bottom of a rocks or old fashioned glass. Sprinkle in 2 tablespoons (or more to taste) of extra fine white sugar. Too much sugar, and the drink becomes flabby, not enough and the lime will overpower the drink. When everything is in balance, the cocktail shines. Do not be tempted to use simple syrup as the abrasive quality of granulated sugar actually helps to extract extra flavor from the lime during the muddling process. Mash the pieces with a pestle or muddler to release the juices and citrus oils. (Some bottles of cachaça even come with a special wooden muddler). Add 3 measures of decent white Cachaça and stir to mix. Add plenty of fresh cracked ice and stir again. Serve with a garnish of lime peel or fresh mint sprig. Alternative – try using a different citrus fruit like pink grapefruit or blood orange instead of the lime. When using sweeter fruits, make sure to use less sugar to keep the drink balanced. Thank you RJH! I'm gonna make this tonight! If you have missed any of the past Midweek Libations, you can catch them all HERE . For over 150 years, Italians, and other drink aficionados, have reveled in the seductive red hue and distinctive bitter taste of Campari. 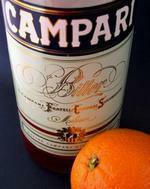 Campari is a unique alcoholic aperitif made by infusing alcohol with bitter herbs, aromatic plants and fruit, and forms the base of the old-school classic cocktail, the Negroni. According to many sources, the Negroni was invented in Florence, Italy in the 1900’s, at Caffè Casoni. It was named after Count Camillo Negroni, the man who invented it by asking a bartender to add gin to his favorite cocktail, the Americano. Others then tried the drink and fell in love with it. By the 1940’s reference to the Negroni had also appeared in English cocktail guides. We, as modern consumers, also still have some work to do. As a culture, we are quickly forgetting how to gain acquired tastes. If something tastes bitter or sharp it is bypassed for an easier-to-contemplate taste sensation. The majority of modern drinks are designed to utterly hide any tang of alcohol, much less the sharp piquant acquired taste of gin – and it’s not just gin we’re talking about either. It’s brandy, whiskey, and tequila, too. The Negroni is a relatively straightforward cocktail to make. 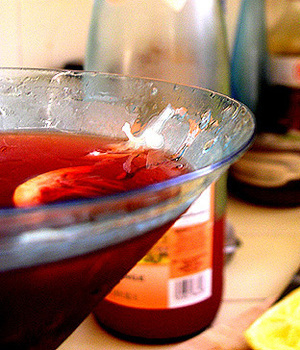 While there are a few variations on the method, the optimum way is to combine one measure each of good quality gin, Campari, and sweet red vermouth in a cocktail shaker with plenty of fresh clean ice. Stir (don’t shake) vigorously with a bar spoon until the ingredients are well chilled and ice begins to form on the vessel. Strain into a chilled cocktail glass and garnish with a burnt orange peel. (see Cosmopolitan post for details of flaming an orange peel). When done correctly, a burst of flame will come from the oils being released from the peel leaving a wonderful fresh aroma and adding a note of orange to the cocktail. Simply drop the twist in the drink. 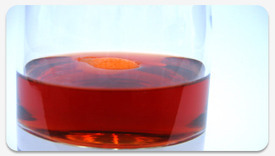 Variations: Some people like to shake their Negronis, rather than stir them, and enjoy the thin layer of ice crystals that subsequently floats on the surface of the drink. I have no objection to this but personally prefer the clean clear result of stirring. Others like to serve the drink on the rocks or “over” rather than “up”. Again this is a personal choice but the inclusion of ice cubes may dilute the drink if not rapidly consumed. 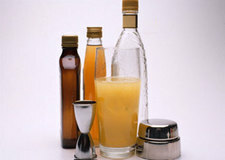 An interesting variation is the addition of Angostura or orange bitters to the mix. Try adding a couple of drops of bitters for a twist on the classic. Enjoy! Thank you RJH! I'll have to give this a try! If you have missed any of the past Midweek Libations, you can catch them all HERE . The Sidecar is a classic cocktail which, though many bartenders know, rarely seems to be ordered. This is mainly because it is often poorly made, whether with mediocre ingredients, the use of a commercial sour mix, or just an inappropriate ratio of ingredients. Just like last week's post on the Margarita, this week's libation emphasizes the importance of a correct ratio of ingredients and the quality of those ingredients as fundamental to an enjoyable cocktail. When properly made, the Sidecar is a superbly well balanced cocktail, perfect as an early evening aperitif. Although the exact history of the cocktail is unclear, it appears that the Sidecar, a variation on the older Brandy Daisy, was first created in Paris around the end of World War I (although other references suggest it was invented in London). 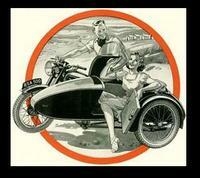 The story goes that an old Army officer would frequent a local bar and always arrive via a motorcycle sidecar. He requested a cocktail that would warm him up after his chilling journey. The bartender was caught in a quandary since brandy, a traditional drink to remove a chill, was usually considered an after dinner drink. The result was a careful mixture of Cognac, Cointreau, and lemon juice. This creation combined the warming qualities of the brandy with sufficient tartness of the lemon to make it appropriate as a pre-dinner cocktail. The first appearance in print of the Sidecar was in 1922, in both Harry MacElhone's "Harry's ABC of Mixing Cocktails" and Robert Vermeire's "Cocktails and How to Mix Them". To make a perfect Sidecar fill a clean cocktail shaker with cracked ice, add two measures of good Cognac (Armagnac may also be used), one measure of Cointreau and half a measure of freshly squeezed lemon juice. Again I emphasize the importance of using good quality ingredients. Shake vigorously for 10 seconds and then strain into a chilled cocktail glass. Garnish with a twist of lemon peel. Some people like to make their Sidecars with a sugar lip on the rim of the glass. Although this is not an original feature of the drink, it is generally acceptable. To do this, run a piece of lemon around the rim of the glass and then dip the inverted glass into a saucer or dish of granulated sugar. Make sure to let the glass stand for an hour or so to let the sugar set. Enjoy! - RJH. Thank you RJH - I guess this is a "sidecar" named Desire?! Yeah - that was a bad one. If you have missed any of the past Midweek Libations, you can catch them all HERE . - S.
Many people are now coming back home from their vacations at exotic or tropical locales and bringing with them a taste for the drinks they enjoyed while away. The archetypal summer vacation drink is, of course, the Margarita. The word Margarita in Latin means "pearl" and in Spanish means "Daisy flower". This cocktail, when made well, is a wonderfully refreshing blend of tequila, orange liquor, and freshly squeezed citrus juice - perfect for a summer's day by the pool. Although the Margarita can be found on almost every bar's cocktail list, the requested beverage can vary greatly in quality and style from establishment to establishment. Tequila - as with many spirits, there are different types and levels of quality of tequila. "Blanco" tequila (also called "Silver" or "White") is bottled straight from the still and is the basic type of tequila. "Joven" or "Gold" tequila may have an amber or gold hue but is really just a Blanco tequila that has had coloring or a small amount of aged tequila added to it to make it look gold (like Cuervo Gold). "Reposado" and "Añejo" tequilas are generally the higher quality spirits and have been aged. A good silver/blanco or reposado tequila that is made from 100% agave will yield the best tasting margarita (look at the label to make sure it is pure agave). The smooth aged Añejo tequilas are wonderful to sip but are a little too rich to make a great Margarita. Thank you RJH for another hot cocktail. Mmm mmm good. If you have missed any of the past Midweek Libations, you can catch them all HERE . Midweek Libations has generally focused on cocktails in the traditional meaning of the word, i.e. a mixed drink of two or more ingredients. Requests have been made (and surprisingly not from college students) to provide recipes for good ‘shooters’ or short cocktails served in a shot glass for rapid consumption. 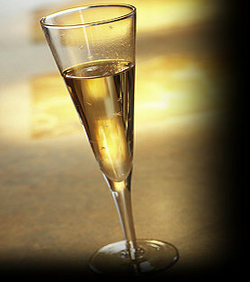 A shooter, distinguished from a ‘shot’ by having more than one ingredient, can be defined as a one- to four-ounce alcoholic beverage consisting of one or more types of alcohol, or a cocktail of alcohol and other non-alcoholic beverages. Just like cocktails in general, shooters can be mixed or created in many different ways. While many shooters can be made by simply shaking, stirring or just pouring the ingredients, the real art to the shooter lies in the creation of layers within the glass. Layering or ‘floating’ a drink was reportedly at its peak of popularity in the late 1800’s and early 1900’s, especially in Europe, where bartenders concocted “pousse-cafes” , visually appealing drinks composed of layers of liquors and syrups. The layered shooter is prepared by gently adding each ingredient from densest to least dense, in order to create the appearance of colored stripes when the drink is viewed from the side. The method became popular again in the 1960’s and 70’s and remains popular today. The names of shooters are quite varied. There may be several names for a shooter of the same ingredients, and there may be different ways of making a shooter of the same name. Many of the names given to different shooters incorporate vulgarities for shock value and to increase word of mouth exposure of the drink. (See previous post on lewd cocktails). Any cocktail may be served in a shot glass but here are a few real shooters you can get started with. B-52 - The B-52 is perhaps the quintessential shooter of all time. It layers Kahlua, Baileys Irish Cream and Grand Marnier, and may also be referred to as a KGB. Pour one measure of Kahlua into a shot glass. Carefully pour one measure of Baileys on top, then drizzle the Grand Marnier down the side of the glass or over a bar spoon to float clearly on the Baileys. An alternative to the traditional B-52 is the Russian B-52, with the addition of a layer of vodka floating on top of the Grand Marnier. Kamikaze - Fill a clean cocktail shaker with ice. Add one measure each of good quality vodka, triple sec (or Cointreau), and freshly squeezed lime juice. Some people use lime cordial (e.g. Roses) but I prefer the zing of the fresh juice. Shake vigorously and strain into a chilled shot glass. Add a small wedge of lime to garnish. One popular variation on this drink is the Southern Comfort Kamikaze or "SoCo" Kamikaze, which is made using Southern Comfort liqueur in place of the vodka. Flatliner - Pour one measure of Sambuca into a shot glass. Add several (8 to 10) drops of Tabasco sauce to form a thin layer on top of the spirit. Now carefully pour one measure of good quality white tequila (no need to break the bank with Patron but it shouldn’t taste like lighter fluid either) over the back of a teaspoon into the glass to float it on top of the hot sauce. The liquids should remain separate with the Sambuca at the bottom and the tequila at the top. The Tabasco sauce sits in the middle of the glass forming a red line between the two spirits. Thank you RJH for sharing your knowledge and keeping us toasty! If you have missed any of the past Midweek Libations, you can catch them all HERE .